T-Mobile (NASDAQ: TMUS) will announce what’s next for the Un-carrier and how the company will continue to change wireless for good. Wednesday, August 15, 2018 at 8:00am Pacific (11:00am Eastern). Get all the details during a live webcast at http://live.t-mobile.com/ucnext. 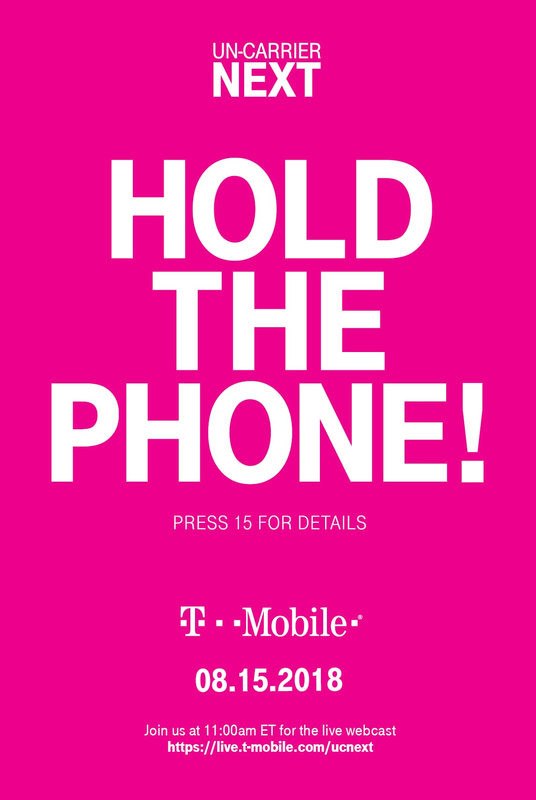 News materials and an on-demand replay will be available on the T-Mobile Newsroom shortly after the conclusion of the presentation at https://www.t-mobile.com/news. T-Mobile CEO John Legere, T-Mobile President and COO Mike Sievert and other executives.